As one of the UK’s leading fleet management companies, we pride ourselves on stocking a wide range of makes and models, to suit all needs, including the Jeep range. If you’re interested in any of Jeep’s range and want to discuss further, simply request a quote or give us a call on the number below. Having become a household name by the end of the second World War, Jeep prides itself on its long-established heritage, something we can see in today’s models. Jeep, part of Fiat-Chrysler Automobiles, has stuck to its roots in terms of delivering versatile, dependable vehicles whilst ensuring that, with fresh new styling and innovative tech, the brand keeps pace with the competition. The smallest and most cost efficient Jeep on sale is the Renegade, renowned for its unique looks, decent practicality and genuine off-road ability. Operating in a hugely competitive segment alongside the likes of the Nissan Qashqai, Mini Countryman and SEAT Ateca, the Jeep Renegade offers something for those in the market for something less mainstream, but well equipped and very capable off-road. 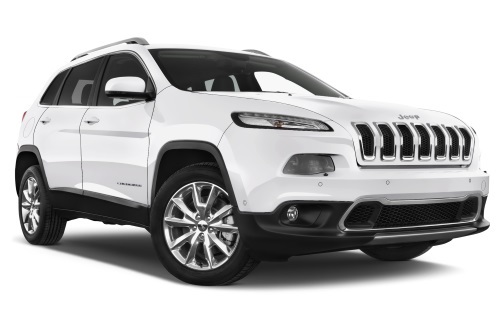 For those that require more space, the Cherokee is a great example of an SUV with great kit, distinctive looks and a smooth 9-speed automatic gearbox. Anyone wanting an even larger SUV should look at the Grand Cherokee, a premium and powerful four-wheel drive, going up against the likes of the BMW X5, Mercedes GLE and VW Touareg. Unlike the Cherokee’s sharp, polished looks - the Jeep Wrangler offers something altogether more rugged, with amazing off-road capabilities and is available in a smaller two-door version or as a larger four-door. Leasing a Jeep with Arval couldn’t be simpler, we take care of everything for you. Why don’t you find out more by speaking to our friendly and knowledgeable team who can talk you through our lease products. To find out more about the Jeep range and other leasing products available, take a look at our lease deals or call us on 0345 266 5602.